These are early days for the Cleveland Cavaliers, and the team’s two leaders — LeBron James and coach David Blatt — are still trying to figure out how this team is going to work. Blatt has experimented with different lineup combinations. He has closed out games with Kevin Love at center, varied Shawn Marion’s minutes, and benched Dion Waiters — who isn’t loving the new role he has been given. Whatever analogy you want to use — pressing a bunch of different buttons and seeing what works, throwing [bleep] against the wall and seeing what sticks, etc. 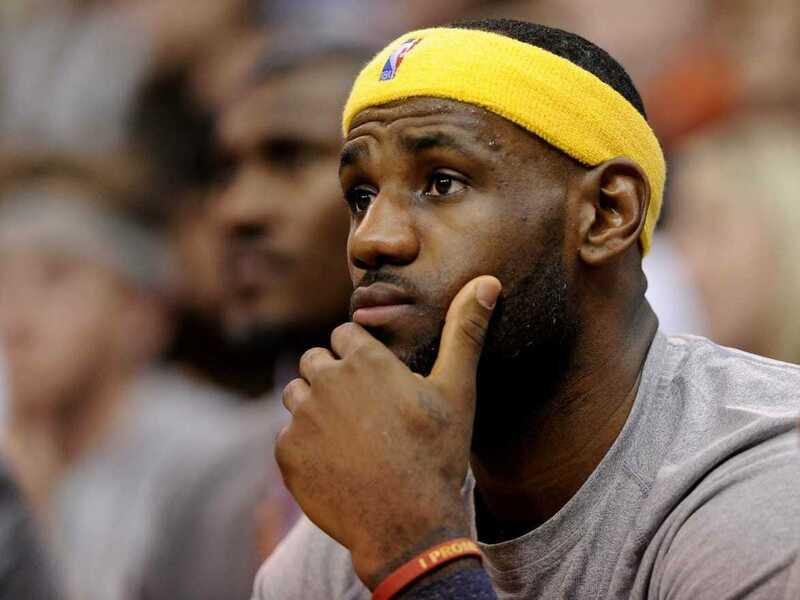 — the Cavs are still trying to establish the simplest fundamentals of how they’re going to play basketball right now. They’re 1-3 as a result. They’re not exactly adhering to Blatt’s food chain either. Some very smart NBA analysts expected this to be one of the best offensive teams ever — a high-paced, sweet-shooting team that moved the ball and decimated defenses. That has not been the case, at all. They’re dead last in the NBA in assists per game after recording just six against Utah on Wednesday. They’re also last in assist opportunities — meaning their terrible raw assist numbers aren’t just the result of them missing shots. They’re simply not getting shots through ball movement. Irving, who Blatt reportedly wants to be the table-setter, is still looking for his own shot. He didn’t have a single assist on Wednesday, but scored 34 points on 23 shots. There’s no doubt that Irving is an effective scorer, but he’s not embracing that No. 3 spot in the Cavs food chain, at least not yet. Irving has a higher usage rate than Love this year. He’s taking 18 shots per game while Love is taking 13.8 shots. Love is very much the third banana right now. He’s taking five fewer shots per game than he did last year, getting to the free throw line two fewer times per game, and dishing out half as many assists. Nearly half his shots are 3-pointers this year, compared to about a third of his shots last year. It’s not time to panic. The Cavs are taking longer than expected to hit their stride because so many guys — even their best players — are adapting to new roles. Irving has never had to sacrifice his scoring and take on the role of a traditional point guard. Love has never had to play on the perimeter so much and get so few touches. Waiters has never been told to tone down his gunner instincts. This is all new, for everyone, and it might be a while before we see the fluid Cavs team we all envisioned.